Commissioner of School Education, Andhra Pradesh, Amaravati released notification for the recruitment of Teacher posts across Andhra Pradesh. A huge number of candidates who are looking for the teacher jobs can apply for the recruitment. Aspirants who are interested can check the eligibility criteria and apply online from the direct link provided below as the application process will commence from 8th May to june 13th 2018. Candidates can apply online from the direct link provided below. The test is conducted in order fulfill and achieve the goals of the Right of Children to Free and Compulsory Education Act. TET was introduced by the Government of India in order to improve standards in teaching. This year AP govt. 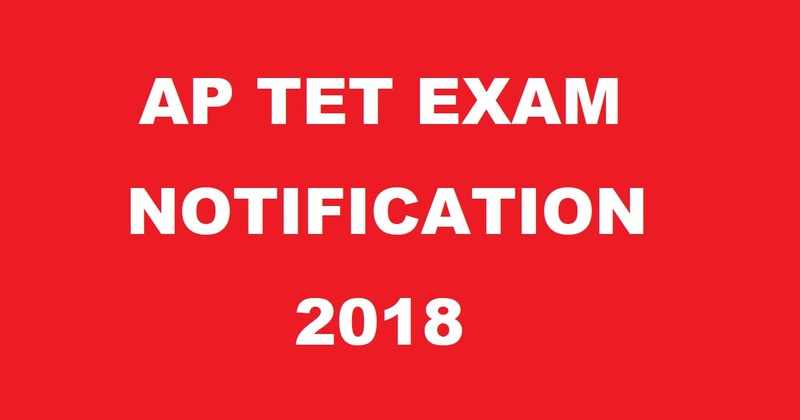 released TET 2018 notification. Candidates should possess intermediate / Senior Secondary (or its equivalent) with at least 50% marks. However in case of SC/ ST/ BC/ Differently Abled candidates, the minimum marks shall be 45%. AND pass in 2 – year Diploma in Elementary Education / 4-year Bachelor of Elementary Education (B.El.Ed.) / 2 – year Diploma in Education (Special Education). Intermediate / Senior Secondary (or its equivalent) with at least 45% marks. In respect of SC/ ST/ BC/ Differently Abled candidates, the minimum marks shall be 40% and pass in 2 – year Diploma in Elementary Education / 4-year Bachelor of Elementary Education. (B.El.Ed.) / 2 – year Diploma in Education (Special Education) in case of the candidates, who have passed or admitted to D.El.Ed / D.Ed., course prior to the issue of these guidelines. B.A./B.Sc./B.Com., with at least 50% marks. In respect of SC/ ST/ BC/ Differently Abled candidates, the minimum marks shall be 40%. AND pass in Bachelor of Education (B.Ed) course / Bachelor of Education (B.Ed -Special Education) in case of the candidates, who have passed or admitted to B.Ed., course prior to issue of these guidelines. OR 4-year B.A.Ed/B.Sc.Ed., with at least 50% marks, in case of SC/ ST/ BC/ Differently Abled candidates, the minimum marks shall be 45%. 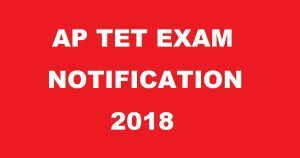 Click on AP TET 2018 Notification. Enter all the details in the provided fields.